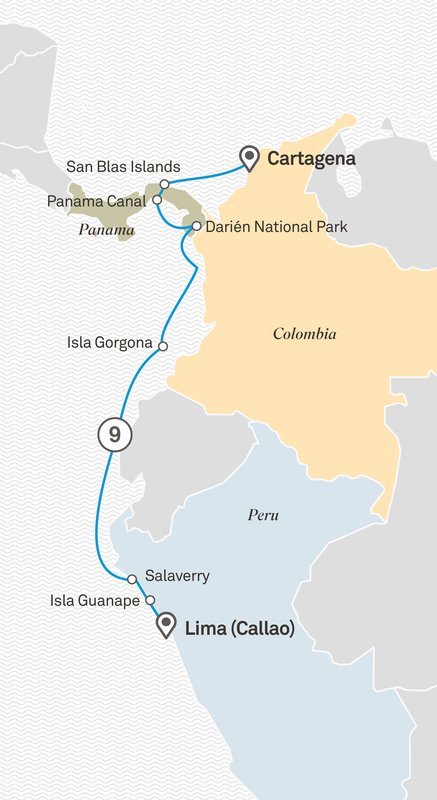 Transiting the Panama Canal and gazing at its ever-changing vistas from the luxurious comfort of your verandah suite on board Scenic Eclipse is just one of the many inspiring experiences you’ll have during this discovery cruise along Central America’s coastline to Peru. Tropical, verdant and buzzing with wildlife, the jungles and islands of Panama and Colombia are breathtaking. Discover the unique marine and bird life and explore the coastlines by Zodiac, kayak and snorkelling. A highlight will be meeting the Embera and Guna communities and discovering the well-preserved pre-Colombian ruins of Chan Chan on the coast of Peru.